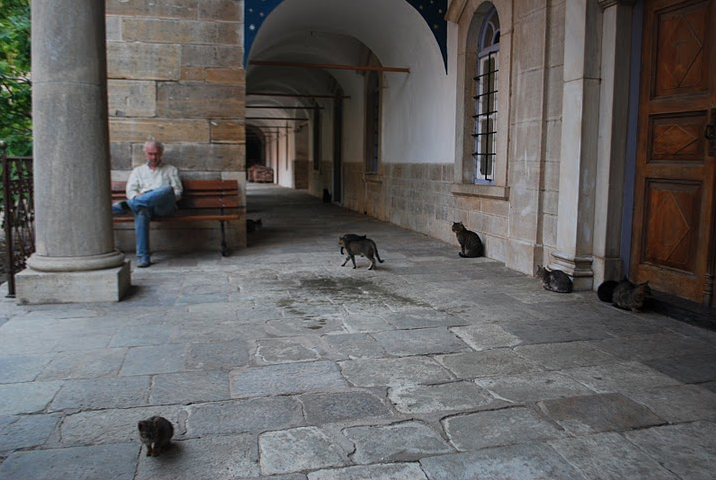 Every monastery has cats. This one is stretching himself in Iviron. 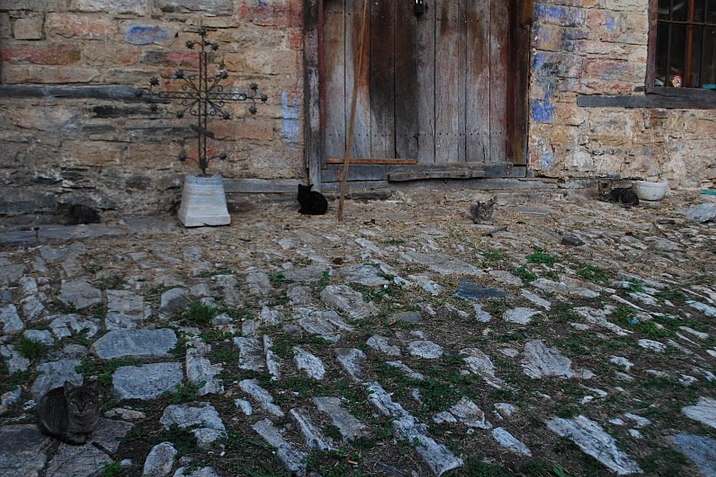 Watch the typical Iviron yellow and the ancient stones in the background. Photo by hv sept. 2009. 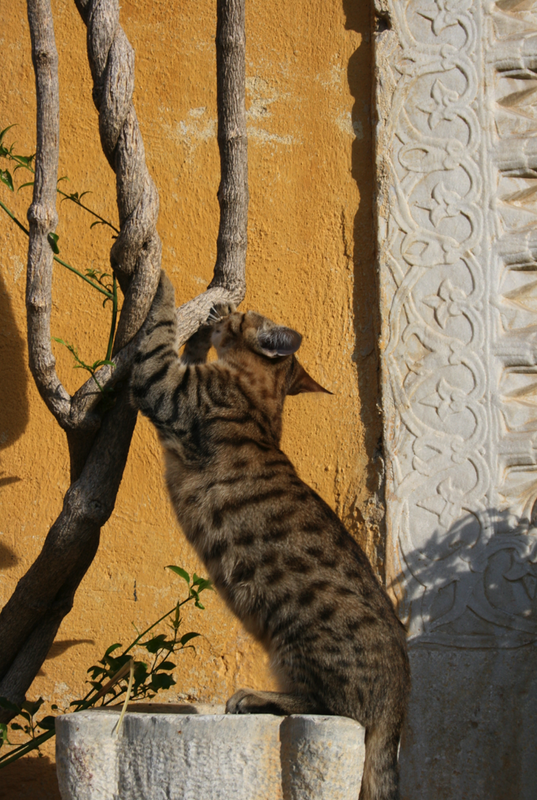 There were many cats in Sografu monastery. Sografu in front of the diningroom. Photo by B.Kamps sept. 2009. Just outside Sografu by B.Kamps. 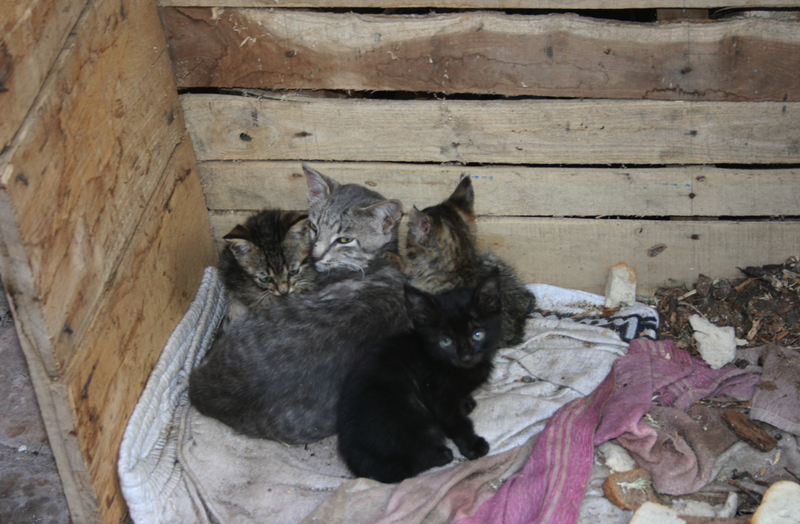 This entry was posted in nature and tagged cats. Bookmark the permalink.